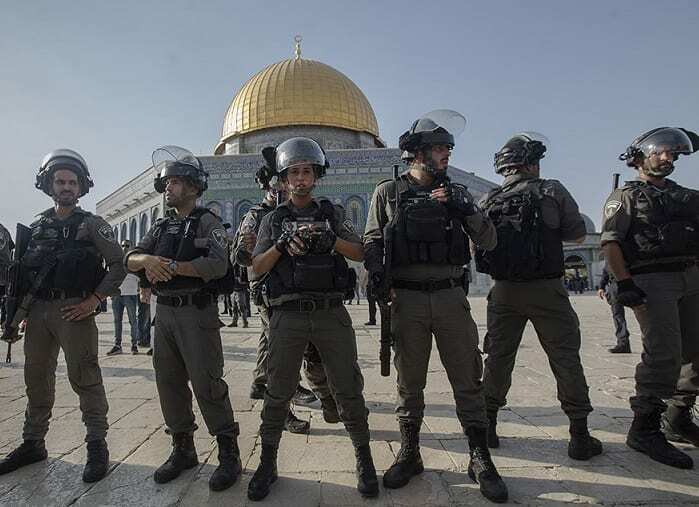 Unrest at Jerusalem’s Temple Mount (also known as Haram esh-Sharif and the Al Aqsa Compound) led Israeli police to shut off access on Tuesday after several weeks of tension at the location. Law enforcers said they evacuated the Al-Aqsa mosque compound after a Molotov cocktail damaged a police post. Residents said police were also restricting access to Jerusalem’s Old City, where the site is located. The compound is the third-holiest site in Islam, and it is also the location of Judaism’s most-sacred spot, revered as the site of the two biblical-era Jewish temples. Recent weeks have seen scuffles over a side building at the site known as the Golden Gate. Police say that the Temple Mount will reopen to worshipers and visitors Wednesday morning.